The Uptown Friday Night Concert series is still happening! Roots Vibrations has been voted the Best Reggae Band by the Detroit Music Awards, five years out of the last six... and they will be playing live at the Fountain Stage in Downtown Mount Clemens, this Friday evening (August 16th), from 7:30pm until 9:00pm! You can check out their music by clicking here. Don't forget that a lot of the local shops and eateries will be open late for the event. I will definitely be there! According to their Facebook page, "Roots Vibrations is a musical force that provides authentic Caribbean music. Made up of members from the exotic islands of the Caribbean and the funky streets of Detroit, this band will stimulate your senses with positive roots music. Roots Vibration’s sound is uplifting and fun, and features creative and seasoned musicians who have a multigenerational and multinational appeal. They bring decades ...of experience and authenticity to the Reggae scene. Roots Vibrations founder and lead singer Winfred Julien, hailing from Dominica, West Indies, has been the driving force in the regional Caribbean and Reggae scene for over two decades. He produced and performed on eight original CD’s and has worked with dozens of international, national, and local artists, including Calypso Rose. 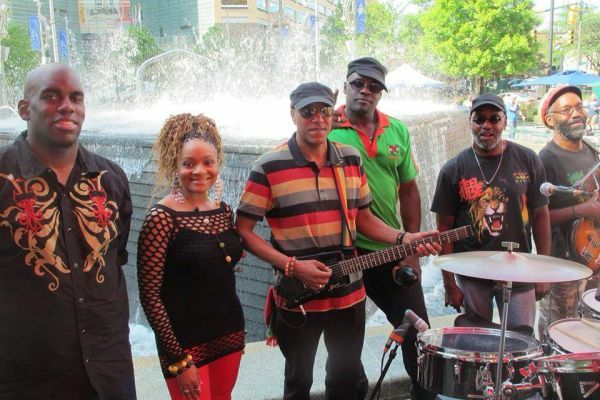 Roots Vibration has delighted audiences in the East, South, West and North with their unique blend of original and popular Caribbean music in Reggae, Zouk, Calypso, and Soca styles. Whenever Roots Vibrations performs, it's Edutainment time".